My sheer love for the grotesqueries that come out of Finland cannot be questioned. Yes, I’m talking about the Finnish death metal scene, a plentiful pile of rot and macabre decay, putrid and abominable in every way. But besides the death metal scene in Finland to emerge in the 90’s, there’s also a cult underground black metal scene, quite extensive yes, but still dwarfed by the captivating copiousness of the death metal scene. 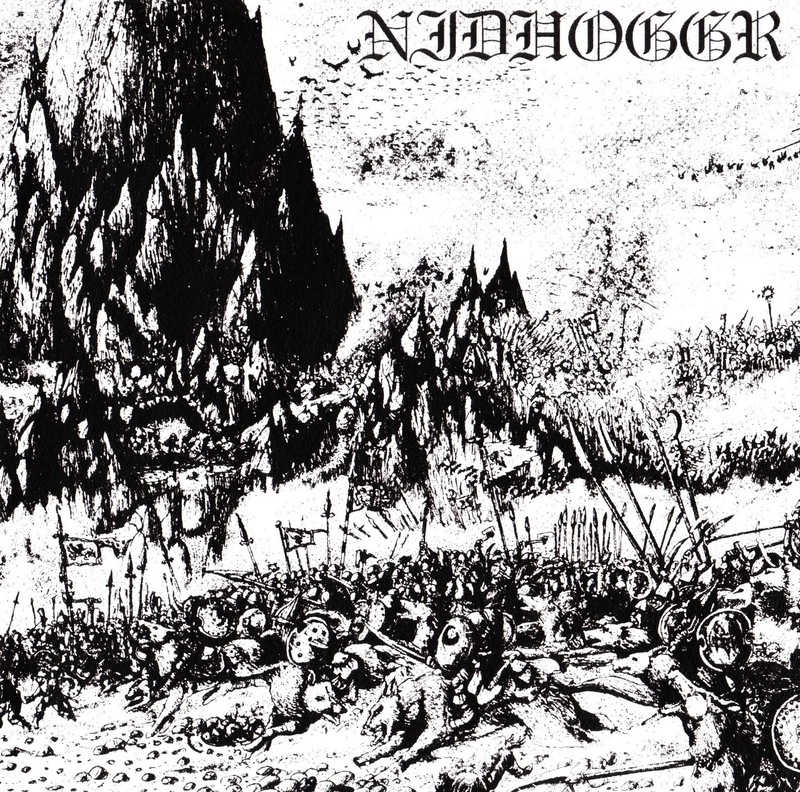 There were a few bands that the black metal underground respected and knew, but Nidhoggr is just not one of those exulted bands. Listening to their 1994 demo ‘’Ravens Over The Road Of Kings’’ is like Burzum gnawing against your ears with stark strictness, and amongst so many false imitators, finally comes a band who knows how to worship. Yes, a Burzum scent reeks heavily in every riff, every break, every turn and twist; in every aspect. ‘’Ravens’’ is a relatively short demo, consisting of only three songs, but once you enter its frigid cold atmosphere it’s not easy to get out as you’re always in the grip of grim, sombre winter, absolutely blood chilling and glacial. The instrumentation is sheer brilliance I tell you. Brilliance. The riffs are set on a damp, jagged texture and flow with craggy, angular turns, and the production is exceedingly raw and diminishing, so the tremolo pickings will always be reduced in vivacity and fullness, and you’ll need to crank the volume up if you want to properly hear this one. Atmospheric traits are just as favoured as the dreary elements of the music. 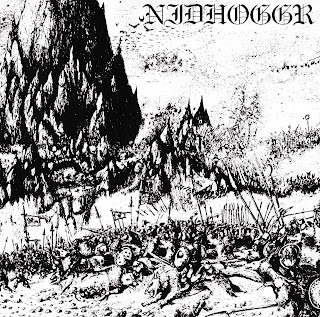 Every riff is harsh, abrupt attack, but at the same time, it provokes an epic sense, which is always a pleasant thing to hear in your black metal. Even the vocals, sonically intense and gelid screams and harsh rasps remind me of Burzum, and these rasps are so cold and haunting that I can say that they’re even better than Varg’s vocals performance, even though they seldom tend to appear. ‘’Thou Shalt Burn At Our Stacker’’ carves a deep hole into the listener’s ear from the start, giving of a great impact of cold, grim melancholy and other raw aspects of the demo, and ‘’From The Forest Come The Wanderer’’ begins its six minute journey with brief little melody spectrum, flashing into an crude, cavernous tremolo attack afterwards. The concluding track finalizes the demo with a queer plethora of melodies and turns cutting and splashing onto each other with cantankerous complexity and cunning. I have no doubt that any Norwegian black metal fan will find this entertaining (though in a eerie way), and Burzum fans especially will salivate over this.